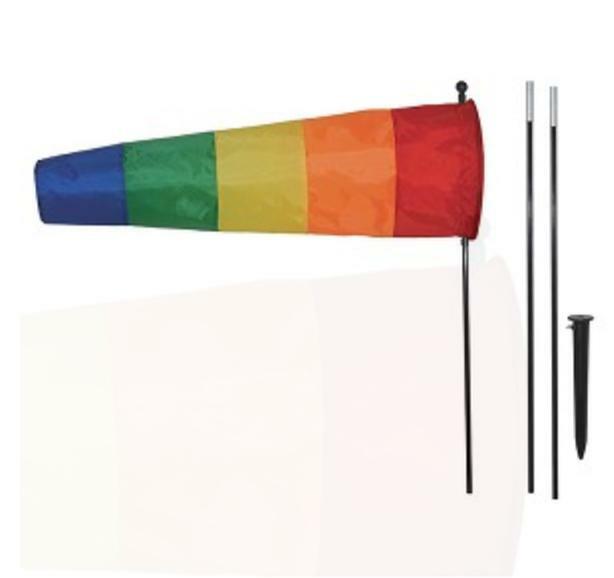 These 36" Rainbow Directional Windsocks are a great way to determine wind direction! They have a tapered, open-ended design that swivels around an 8' fiberglass pole causing it to inflate and signal wind direction with ease! The bright rainbow colors are attractive and easily visible.